I noticed that there is insider purchasing of Japan Foods Holding Ltd shares by Non-Executive Director, Eugene Wong Hin Sun on 8 June 2015. Consequently, his deemed interest (as a percentage of total no. of ordinary voting shares/units) has increased from 4.12% to 4.8%. Click here. This has piqued my interest, since Japan Foods share price has recently dropped. See below. The drop in share price in early Nov 2014 can be attributed to the plunge in net profit by 52% to S$1.8 million which is mainly due to increase in selling and distribution expenses & higher rental and utilities cost on the back of newly opened stores (as per financial results released on 5 Nov 2014, for the six months ended 30 September 2014). Read here. 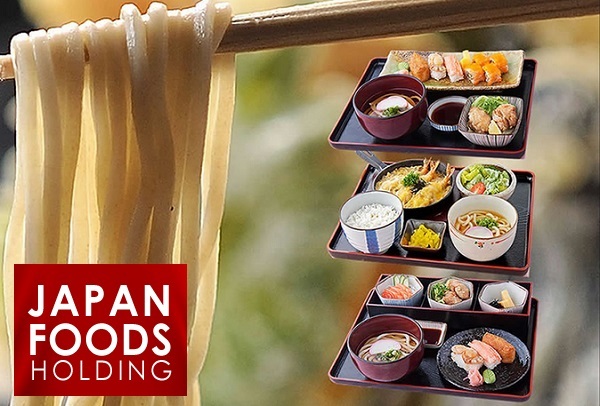 Moreover, fundamentally, Japan Food Holdings has strong cash to debt ratio, and has been able to grow its revenue base at a good pace. Read here and here. Current ratio of Japan Foods is 2.8. Note: Current ratio expresses the extent to which the current liabilities of a business (i.e. liabilities due to be settled within 12 months) are covered by its current assets (i.e. assets expected to be realized within 12 months). A current ratio of 2 would mean that current assets are sufficient to cover for twice the amount of a company’s short term liabilities. 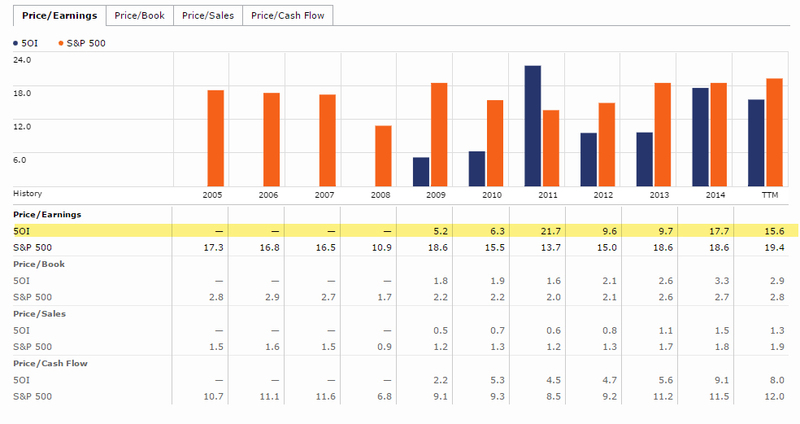 Revenue and net income has been increasing over the years. 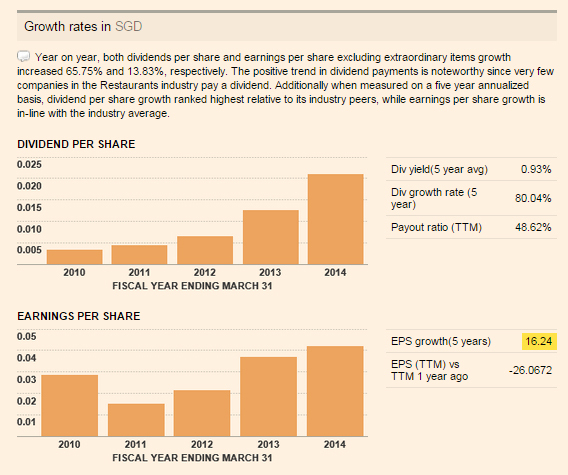 Let’s do a quick study on the current share price of SGD$0.48 – via Trailing PEG and Intrinsic Value. The trailing PEG will be 11.39/(16.24+4.17) = 0.56. Which is good (way below 1). If we calculate the intrinsic value using a growth rate of 16.24%. 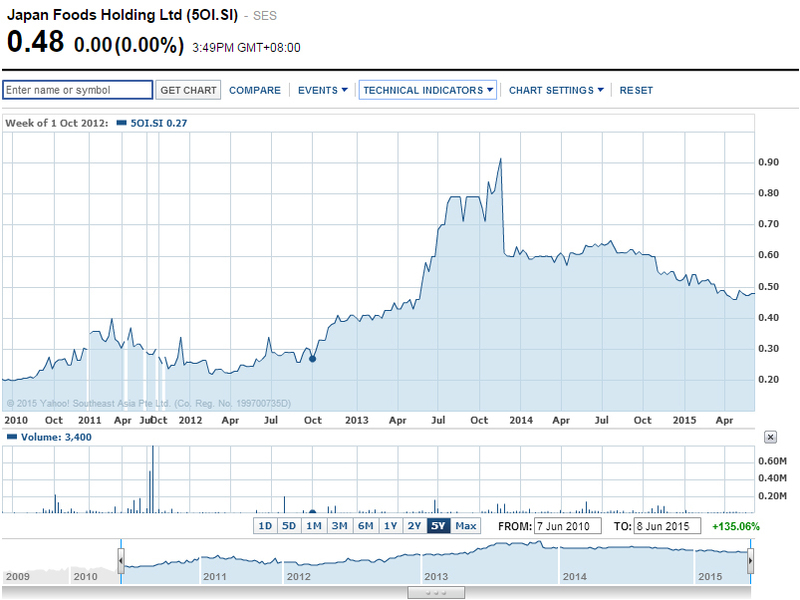 I will be estimating the future PE of Japan Foods Holding Ltd to be 11.7. (See below, data from Morningstar) Average of PEs from 2009 to 2014. 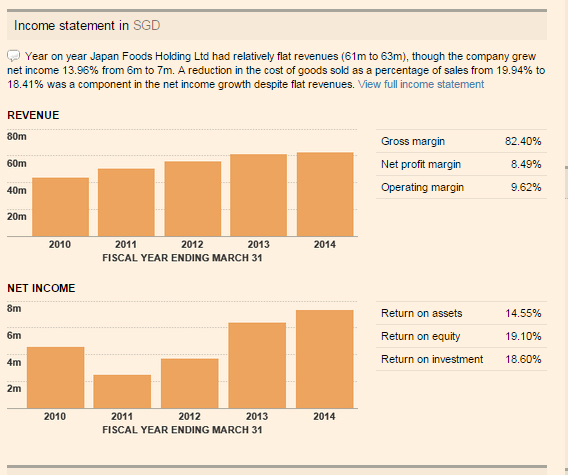 Hence intrinsic value of Japan Foods is SGD 0.34. Given the current stock price of Japan Foods at SGD 0.48, there is no margin of safety base on the estimated intrinsic value. In fact, current share price is higher than intrinsic value by 45%. Fundamentally Japan Foods Holding Ltd is a strong company. I shall observe this company more closely, and if its narrative / outlook and financial fundamentals improve (it has done so in the past), it would be worth dipping into the shares of this company. Wow you compound the eps growth by 16%. Thats really ambitious there. If you take a close look at their business profit margins are strong but it is their labor costs which is killing them. I doubt they can mitigate the costs and still grow the eps by 16%. That would have been really really ambitious. On the use of that 16% historical growth that is the typical textbook method we used to do in school but realistically speaking its almost impossible to assume the same growth rate now into the future. Thanks you may be right. Even with a growth rate of 16.24, the current value is way above the intrinsic value (IV). By right I should have reduced the growth rate by 10% or 20% at the start. I normally skip this step (shall remind myself for future IV calculations). Consequently, I tend to look for bigger buffer / margin of safety when I compare the current share price with the intrinsic value (as I’ve skipped the earlier step) – cos IV is just an estimate. As to what is the growth rate in the future, most likely won’t be as good as in the past. Your guess is as good as mine (I can only use historical data as a guide – and add a buffer). However, I do note that Japan Foods is not limited to expansion in Singapore only but also overseas as well. I note that based on the above metrics the intrinsic value is at 0.65? Isnt that higher than the current value of 0.48? I am not sure I understand how you obtained the intrinsic value of 0.65. I think you have mistaken the future stock price of SGD 0.65823 as the intrinsic value. My calculation is for IV is only SGD 0.33 (it is found in below the future stock price). I need to work backwards using the future stock price to find current intrinsic value.